I am going to share the most iconic and classic Japanese dish, Miso soup this week. 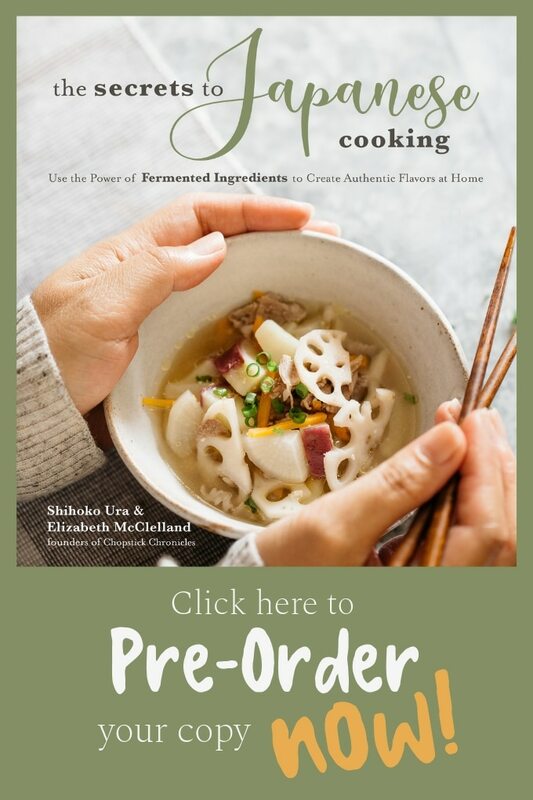 I always wanted to share how Japanese people actually make miso soup. 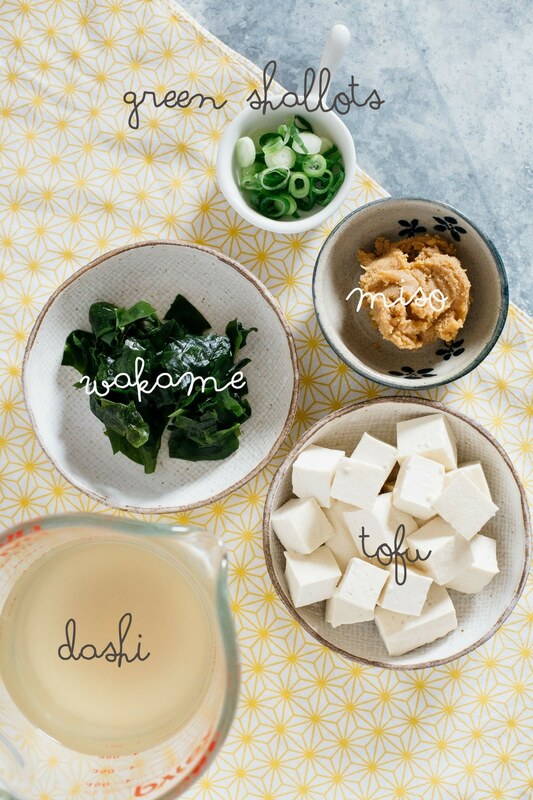 I actually shared miso soup formula about 2 years ago and it is time to update the post since I then shared how to make your own homemade Miso paste. 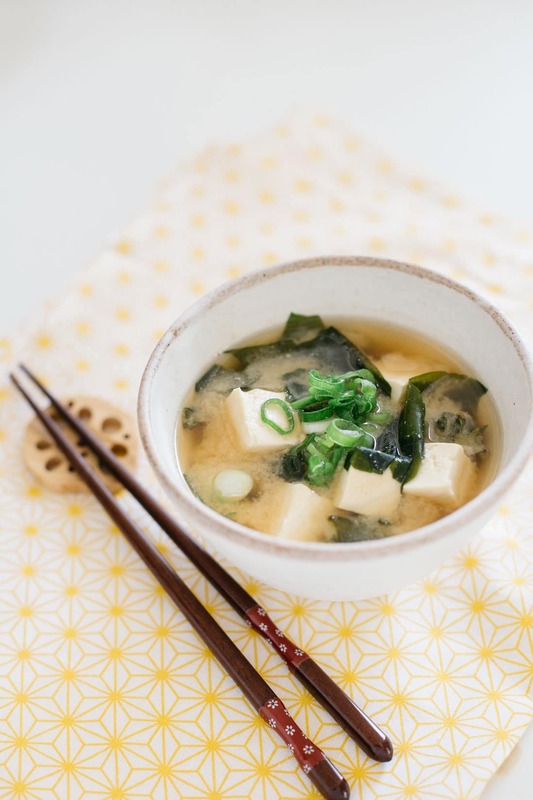 Miso soup is very simple yet a very delicious and flavourful soup packed with Umami. The ingredients required to make miso soup are “Dashi” stock, miso paste, and a few other ingredients and fragrant garnish called “Suikuchi”. 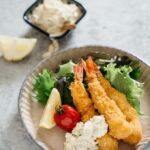 I have shared the home cooking recipe of Dashi and homemade Miso paste in other posts and in this post I am going to share the commonly used ingredient combinations for miso soup and how to make delicious miso soup. There are mainly three types of miso paste: red, white, and mixed. 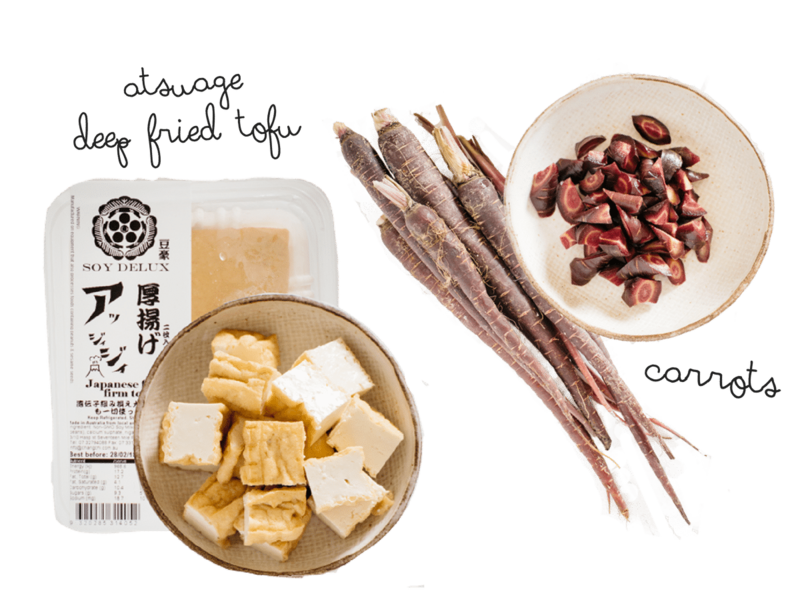 Each type of miso has ingredients that suit to each miso paste. 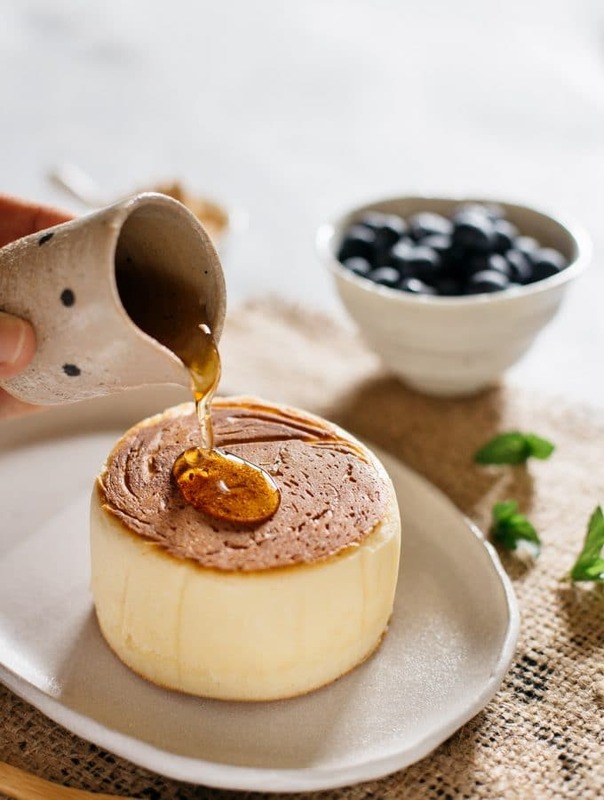 In this post I am going to talk about ingredients and different ingredient combinations you can use. 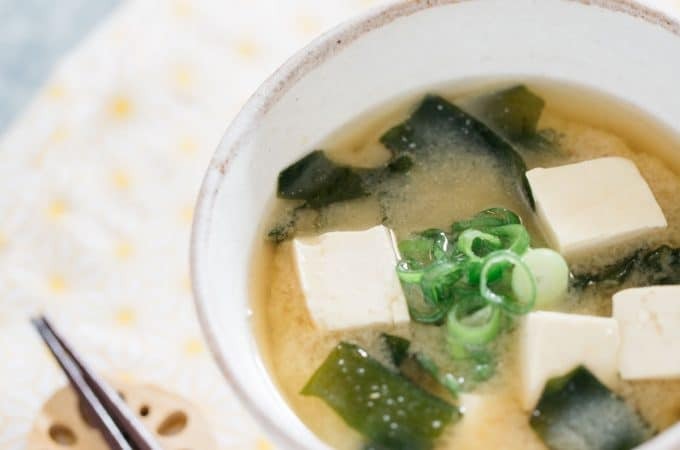 The most commonly used miso soup ingredients, and the ones most often served in Japanese restaurant, are Tofu and Wakame seaweed and green shallots (as the “Suikuchi” fragrant garnish). Awase miso is different miso mixed together, for example rice koji miso and bean koji miso mixed. Mixing two different miso pastes cancel each other’s distinguishing flavour. So usually awase miso does not dictate the ingredients. 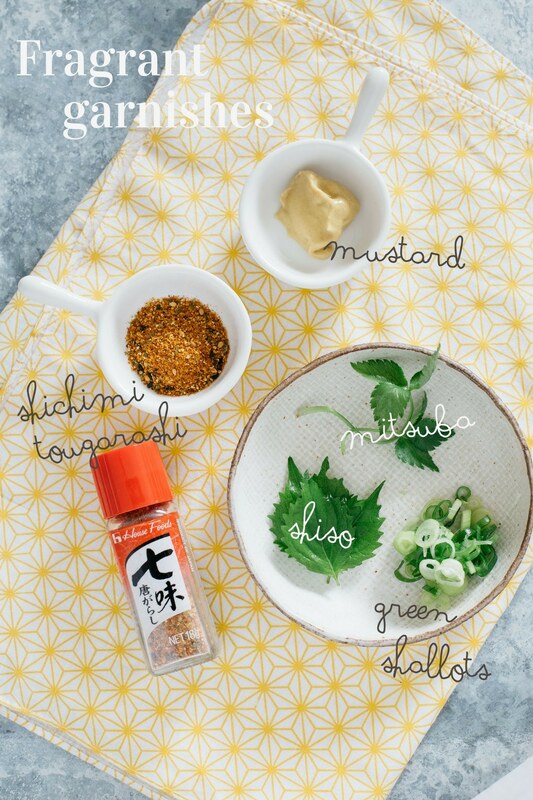 You can enjoy the lovely flavour of the miso itself with any ingredients. 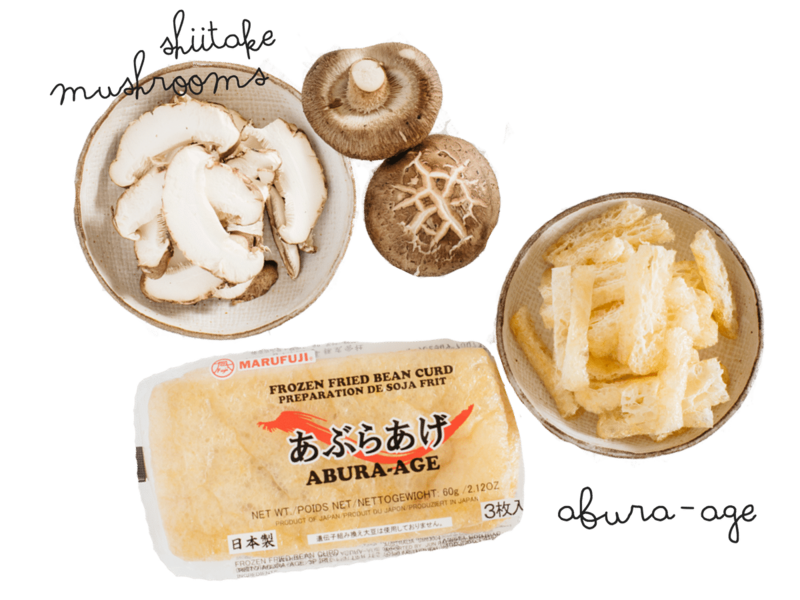 The combination I often use is Aburaage and shiitake mushroom. I usually choose one protein and one vegetable. I often use pork. 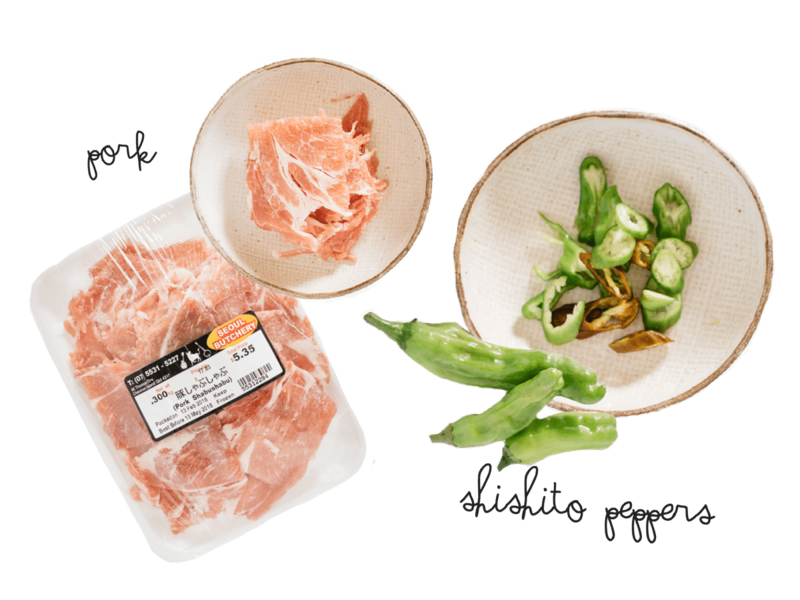 Pork matches so well with miso flavour and not even just for miso soup, you can also use the miso to flavour other pork dishes like stir fry, etc. And I grew my own shishito peppers! This is my favourite type of pepper and it is not something that I can find in Brisbane easily, well, almost never. So I ordered Shishito pepper seeds from an online plant Nursery and have been growing the peppers and it has just started producing some shishito peppers!!! 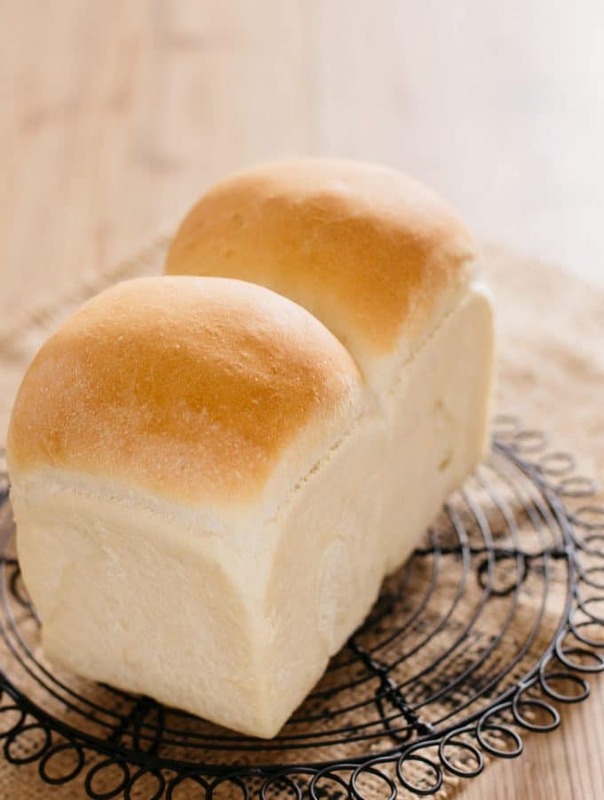 The above ingredients and ingredient combinations are just examples. I have shared Egg and Spinach miso soup and Mochi can be delicious addition too. Instant miso soup can even be purchased from major super markets nowadays and I know many have miso soup for part of diet here in Australia. Making miso soup might sound too oriental and daunting but it is very simple to make and really doesn’t take much time at all. Finish the miso soup with garnishes with “Suikuchi”. “Suikuchi” is fragrant garnish which enhances the miso soup taste. 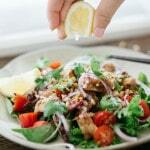 Green shallots are often and most commonly used but there are many others. For example, mitsuba, shiso(which is my favourite), mustard, shichini togarshi, sesame seeds, ginger, yuzu, and others. They all have a lovely fragrance and enhance the miso soup taste. Oh I nearly forgot to mention the equipment you need to make miso soup. Apart from the above photo, a small saucepan is required but at the moment I don’t have any photogenic Japanese looking pan until I go back to Japan in April. 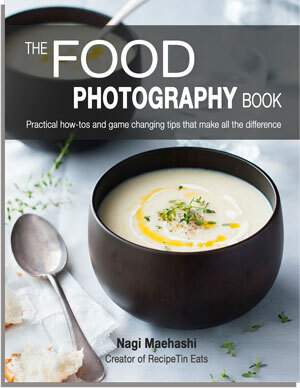 But I have to especially mention the gadget I love is “Miso Muddler ” ! Stick one side into miso paste and circle it, the larger side takes out 1 tbs equivalent miso paste and smaller side takes out 1 tsp equivalent then use that as mixer! Whoever thought about this gadget and created it is a genius. Here is a mini movie to show you how to make simple and easy miso soup. If you liked my recipe for Japanese miso soup, please rate it and leave a comment below. 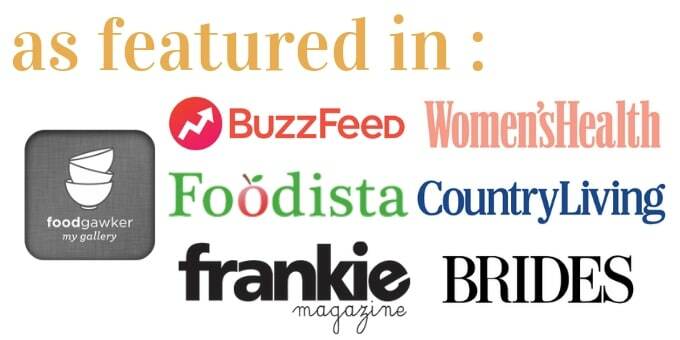 Also, don’t forget to follow me on Youtube, Pinterest, Facebook , Twitter and Instagram to keep up to date with all the latest happenings on Chopstick Chronicles. Don’t forget to use the hashtag #ChopstickChronicles so I can see your wonderful creations! Reconstitute wakame seaweed by putting them into a small bowl of water. 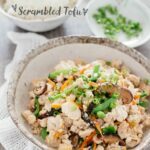 Dice the tofu and set aside. Add the diced tofu into the dashi stock to cook. Once all the miso has dissolved, turn the heat back on. 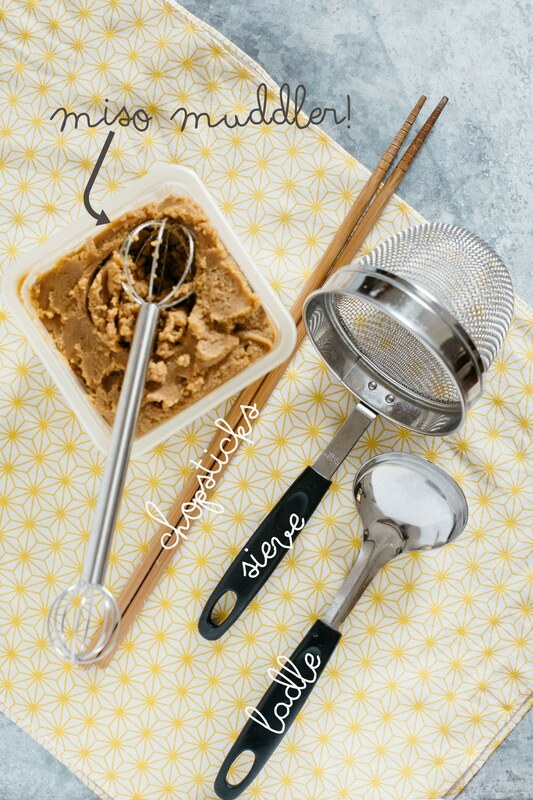 *2 If you don't have a sieve, you can dissolve miso paste directly but it will take longer and may leave some lumpy parts and also if you use store bought miso paste which is very fine and smooth, you can make miso soup without a sieve. *3 Stop cooking just before it boils. This point is called "Niebana" and it is the time that the fragrance and flavour of miso soup is simply the best and the most delicious. If the miso soup boils, the alcohol created in the process of miso fermentation and which is also the component of the fragrance will be lost by evaporation. Thanks for sharing Shihoko. My Japanese friend often cooks Miso soup for me but he doesn’t add mushroom. I will as him to try your recipe sometimes. I’m glad you like it, thank you! What Miso paste do you use for your soup? I love Miso paste from Miyasaka. Their paste taste much richer than other brand. Do you have any preferences? You make your own! That’s really good!! 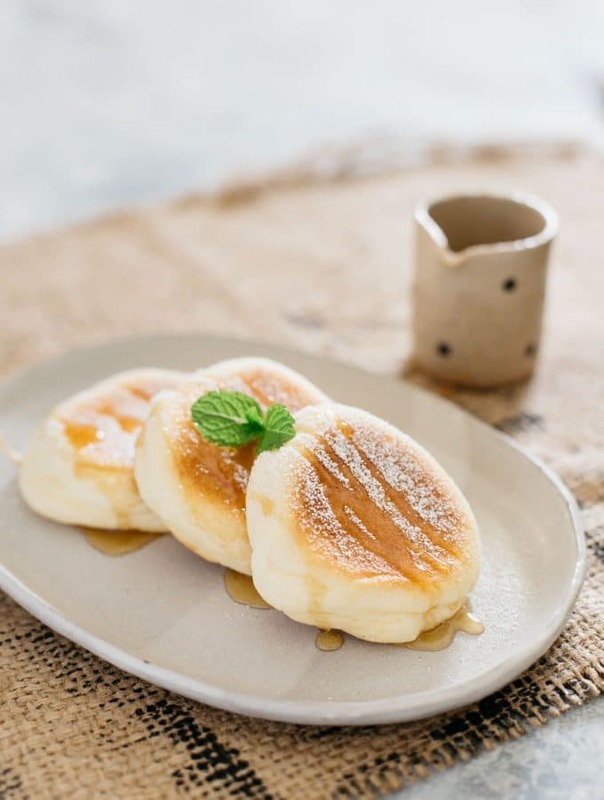 Have you tried Miyasaka’s miso paste though? I tried Marukome and Hikari. But so far I like Miyasaka’s best (especially since I cannot make my own miso). My favorite one is not listed on their website. It’s bit weird. But you can find one at Asian market for sure. Sorry I meant Shihoko san. My apology. Do you have any preferred types and brands of tofu for use with miso soup? I generally grab “silken” firm tofu but have been fairly willy-nilly in my tofu choices up ‘til now and would appreciate suggestions. 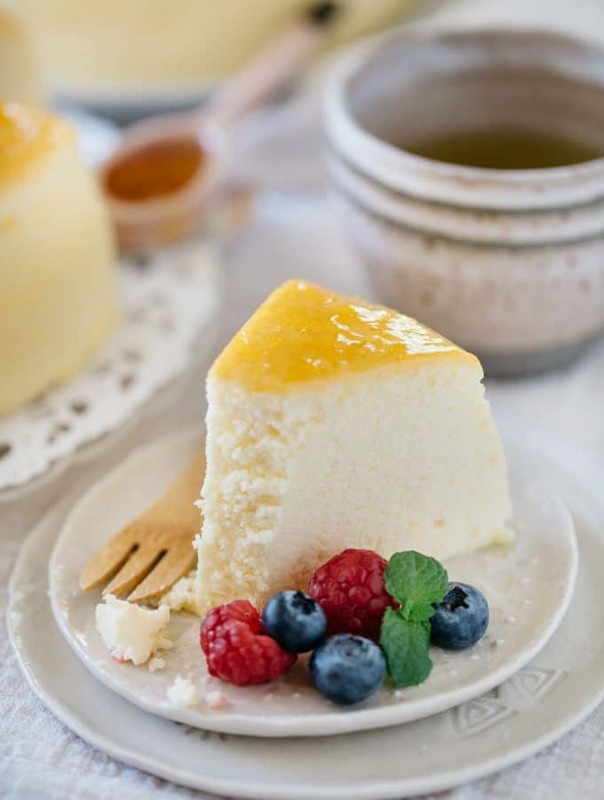 Nice, simple recipe with useful notes that can wreck the dish. Very nice and concise! Meant to say nice notes that help avoid pitfalls that can wreck the dish! Hi Thomas 😀 I buy tofu from a local Japanese grocery store and the brand is not global brand. Where do you live? The Morinaga brand’s long life tofu(kind of) on supermarket shelf is my second choice. Five stars and had to add your site to my bookmarks, I like it so much! what kind of miso do you use ? white or red ? and which one tastier ? Hi I use my own home made which is between white and red. If you like mild right flavour of miso, try white. If you like strong rich falvour use red because the darker colour one is more matured.